Use behavioral management approaches [Section 25] to control the patient’s temptations to drink. Use psychodynamic therapy [Section 37] to help the patient deal with internal and external issues more effectively without the need for alcohol. 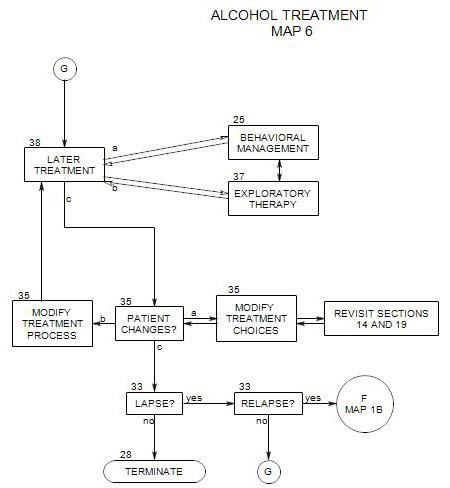 Look for changes in the patient [Section 35] and adapt the treatment to meet changing needs. This part can include dealing with any lapse or relapse to drinking. In addition, completion of later treatment leads to planned termination [Section 28].